Dr. Paul Pasternack graduated from the University of Pennsylvania School of Dental Medicine in 1984. The following year he completed a hospital-based residency program in Albany, New York. He has stayed on the leading edge of this rapidly changing profession by his diligent participation in continuing dental education. Among many hundreds of hours of class and hands-on labs, he took part in a year-long study of conventional (wire-type) orthodontics in order to better care for his Invisalign® patients. Dr. Pasternack truly enjoys his relationships with his patients and hopes that he and his staff have been able to make at least the dental parts of their lives happier and healthier. Dr. Pasternack is one of those rare experienced practitioners who does not have the big ego that often seems to accompany it. Paul is a joy to have as a dentist—respectful, gentle and good-natured. He considers his patients and staff to be his second family. Dr. Pasternack likes to mountain bike, hike, and spend time on the water. 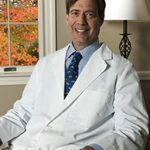 He is the father of two daughters and resides in Durham, NH with his wife, Sandra (University of Pennsylvania School of Dental Medicine 1982) and two small dogs. Dr. Dieter H. Knauss, a New Hampshire native, is a 2010 graduate of Temple University’s Kornberg School of Dentistry in Philadelphia, PA. 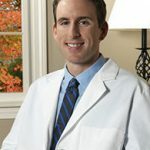 Since joining the practice, Dr. Knauss has completed hundreds of hours of additional training. He is able to offer many advanced services including endodontics (root canals) and implant placement. He loves being a dentist and that simple fact shines through in everything he does. Dr. Knauss is presently the president of Great Bay Dental Study Group, an organization which brings together dental specialists and generalists to facilitate the advancement of cutting-edge dental care in this region. An avid surfer and athlete, he makes his home in Rye, NH with his lovely wife, Cristy, and their newborn son. Cristy is a middle school teacher and a marathon runner.